i find myself on another visit to expansive dallas, tx. the client beckons me by name! ah, traveling. a (mostly) wonderful perk of working in software consulting. i will admit, i have visited many towns i would not have otherwise seen, so i shall count myself luckier than the average bear! i am flying solo this week, so all the eating decisions are my own. how fabulous! 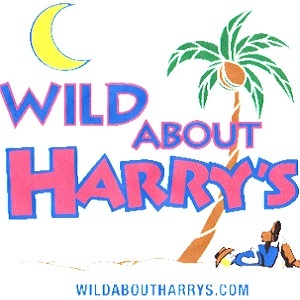 i had heard of this place called wild about harry’s. supposedly they’re known for their custard…? i kid! wild about harry’s is very well-known for their secret custard recipe and hot dogs. let’s see how this southern lady liked it! it was back during the depression era, in a small town called hollis, oklahoma, where sarah frances perfected her frozen custard recipe. she was able to test out the cold concoctions on her son harry during those hot summer months, and you can bet he didn’t mind at all! harry coley describes his mother’s custard as a “bowl of heaven.” do i agree? you’ll have to wait and see. i don’t want to spoil it! so before we get to dessert, let’s talk about an american classic, the hot dog, and harry’s take on it. harry’s has traditional hot dog choices like the chicago dog, but my eye caught the knox dog, and i knew i could not resist. don’t thousand island, sauerkraut, and cheese sound great on a beef dog? i agree! my dog and fries came out piping hot on their checkerboard tray. ah, makes me feel like i’m at a fair or a carnival. now i just need to find the funnel cake…i took the first bite and knew i had picked a winner. the frank was cooked just right and wasn’t lost in all those delicious toppings. everything in moderation, right? right. oh yes, bite two was just as tasty as the first. the french fries remind me of the ballpark, and i sit to reminisce on the good ‘ole days at heardmont park in birmingham, where i restlessly cheered on my brothers at the ball fields. such fond memories! wild about harry’s is one of those neighborhood establishments that everyone really seems to love. it’s simple and fun here. it almost seems like it’s one of those places where kids go after friday night football games, just before the night creeps in and the curfews spoil their fun. i’ll be honest, i was quite full from the hot dog, but there was no way i was leaving without some custard in my belly. i opted for raspberry with chocolate chips. it was a little more pink than i was expecting, but what the heck. i inhaled a spoonful and…it wasn’t what i thought it would be. perhaps i was picturing something more like gelato, but the texture didn’t feel as rich and creamy as i thought it would. i also wanted way more raspberry flavor. it really was too faint for my liking. i took several more bites, trying to break down the flavors and pinpoint just what was so wonderful about this custard, but i had no such luck. i wanted to love it. i really did! but in my heart of hearts, i just couldn’t say it. barely halfway through with my cup, i didn’t even want to finish it. i hate to waste, though, so i took my time with the rest of it. what a shame, though! several folks had told me about harry’s, and i am always one to give something a try to find out for myself. and then it hit me like a ton of bricks. i figured out what was bothering me about this custard: it tasted so artificial. ah, gasp! how dare i write such things! maybe i don’t have a refined enough palette, who knows. all i will say is that although i’m perfectly glad i came to experience wild about harry’s, i’m not sure i’ll be back too soon. 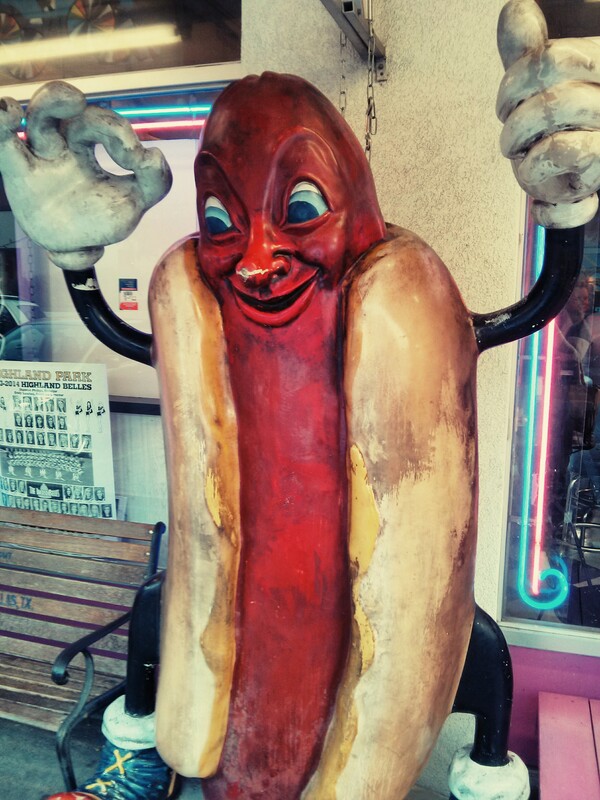 I think you found the man/hotdog strong enough to catch you when you fall.